With a Pro X OEM Clutch Plate Set Steel, you can freshen up your clutch and keep your ATV or bike riding like it’s new from the factory. Why? Pro X has their plate sets manufactured by industry leading OEM factories to ensure that quality and tolerances are matched to the exacting standards your machine needs for perfect operation. Pro X Steel Plates are made with such precision, they can be used in place of, or in conjunction with other Pro X and OEM components. 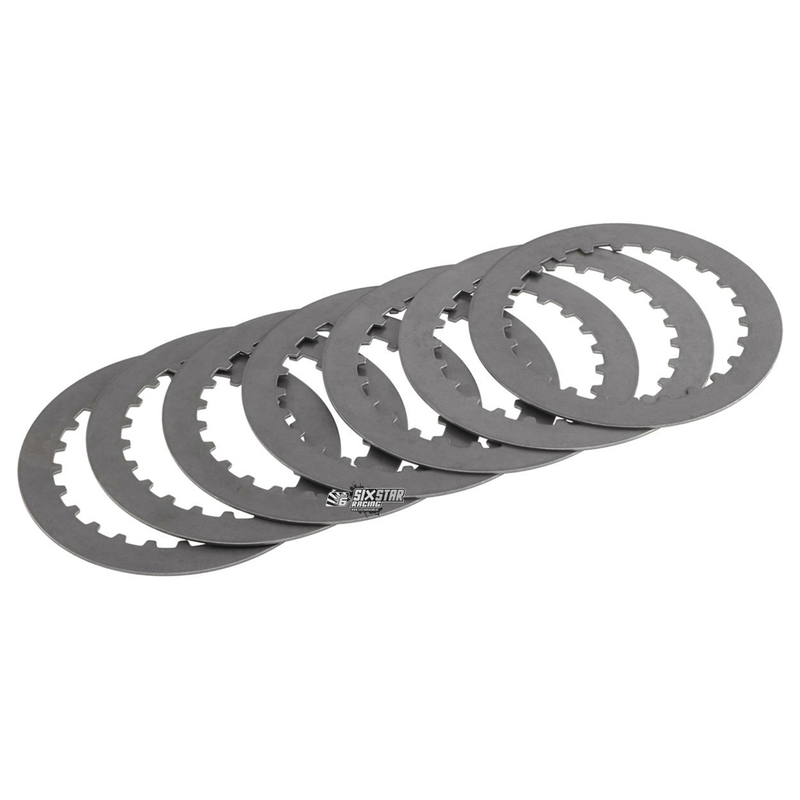 These steel plates come as a complete set made from quality steel/alloy and base materials that maintain your OEM stack height to make sure your get minimal slippage, great power transfer, an excellent clutch feel, and hours of proper clutch operation.